Probably the top reason to visit for most bike fans is to see all the new machinery for 2014 make its UK debut. All the big names in biking are there, bringing with them a whole host of shiny new bikes for you to feast your eyes on. With the race season done and dusted, Motorcycle Live is the best opportunity to meet the stars of BSB, SBK, MotoGP and more in a more relaxed environment than a high-pressure paddock. Expect on-stage Q&As and rider signings galore… don’t forget your autograph book. A new feature for 2013, ‘Behind Bars – the Movie’ is a must-see, 30-minute fly-on-the-wall look into what makes our heroes heroes. We get a behind-the-scenes look at the life of top racers Cal Crutchlow, Shane Byrne, John McGuinness, Scott Redding, Tom Sykes and Tommy Searle. The ever-popular Nick Sanders Cinema is also back, but with a new twist for 2013. New for 2013 is the FREE Crank’d Live Action Show, where the UK’s top two-wheeled talents are lining up to showcase their sensational skills. 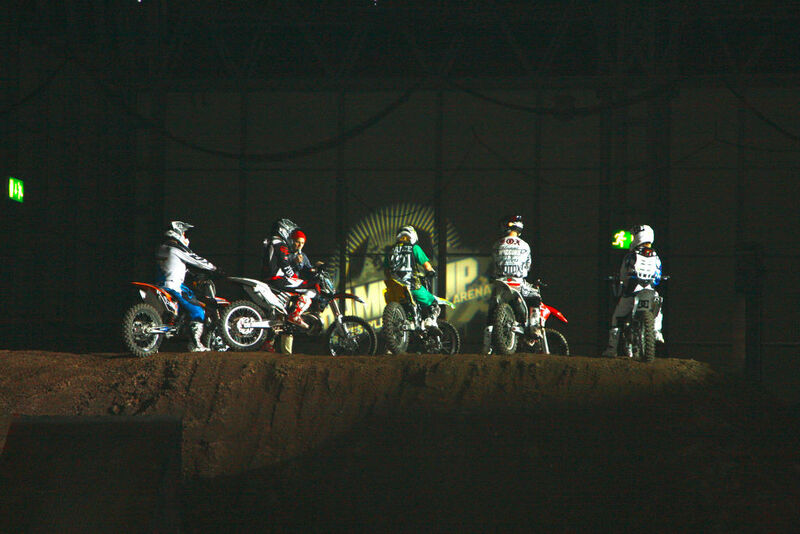 Crank’d takes homegrown superstars from BMX, mountain bike trials, motorcycle trials and road bike stunt riding and then blends these pedal and petrol-powered performers together for a battle of the cranks over a bespoke indoor playground comprising dirt ramps, jump boxes, high jumps and flatland sections. Motorcycle Live is the perfect place to broaden your two-wheeled horizon. If you’ve never ridden off-road before, or you want to hone your fledgling skills, the FREE Yamaha Off-road Experience is the perfect way to get a taster, while the FREE ACU Try Trials Area in conjunction with BUMPY aims to introduce you to the skilful trials discipline. All equipment and expert instruction is provided so there are no excuses! The Test Ride Zone will make a welcome return thanks to Shoei, Sidi and Spada, and a great line up of bikes from leading manufacturers. Accompanied by out-riders, you can get out on the open road and get a real feel for the model of your choice – all for FREE. All safety equipment will be provided. 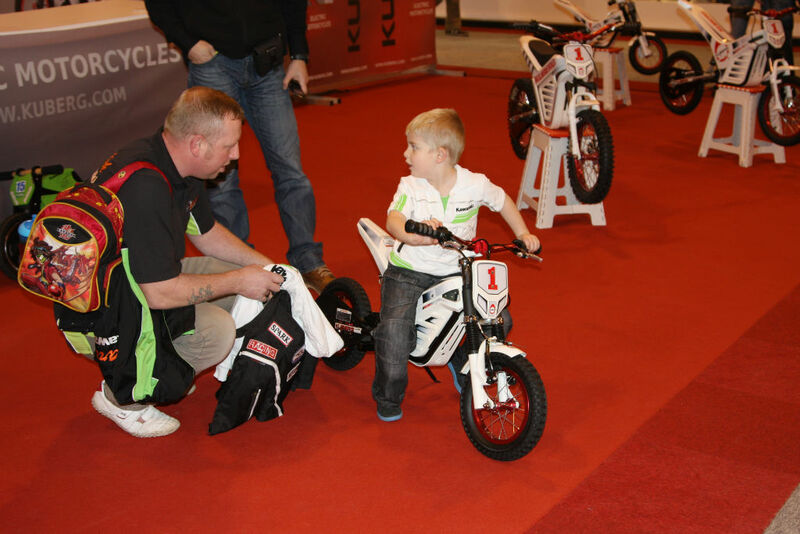 Budding bikers have more to do than ever before at Motorcycle Live 2013, with no less than four FREE, live features aimed at getting the little ones on two wheels. 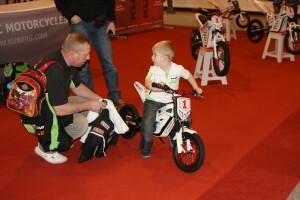 New-for-2013 are the Try a Kuberg – Children’s Electric Motorcycles and the Silverstone Rookie Rides feature, while the Kiddimoto Children’s Fun Track, the ever-popular My First Honda Licence and the Red Bull Pro Nationals MX Experience will all be back. The motorcycle industry’s Get On campaign will once again be offering FREE two-wheel taster sessions to novice and born-again bikers. 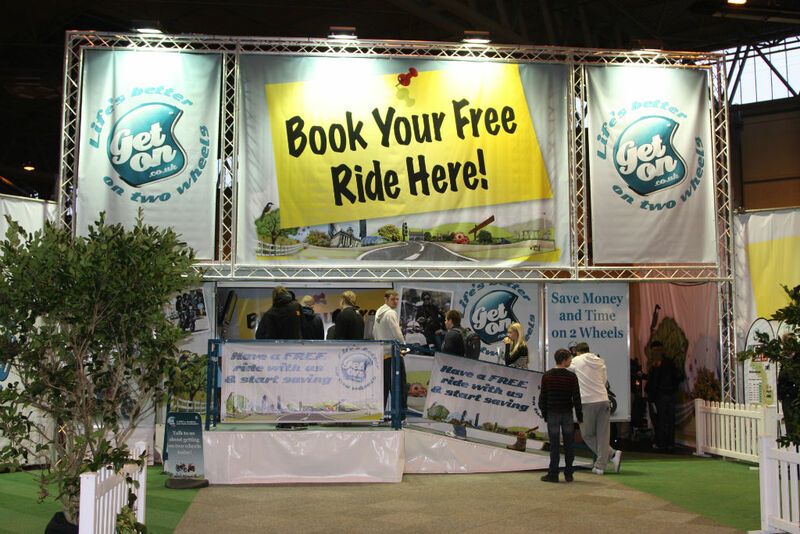 For visitors with no experience at all – or even those who have spent some time away and want to get back into biking – the Get On arena should be the first port of call. 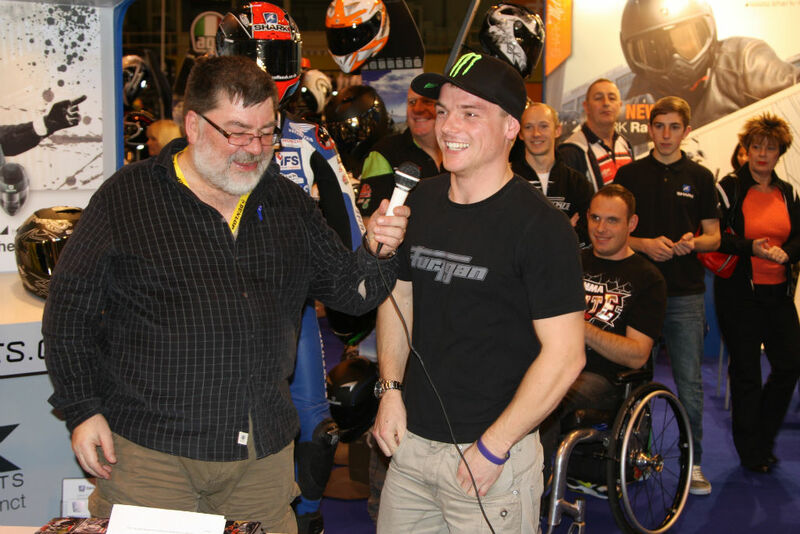 The British Eurosport Entertainment Zone featuring the Black Horse Stage will occupy the heart of Motorcycle Live. Steve Parrish and James Whitham will keep the crowd entertained with interviews and chat shows, along with a variety of interactive games – many of which will be new-for-2013 – and quizzes such as the ever-popular ‘A Question Of Bikes’. 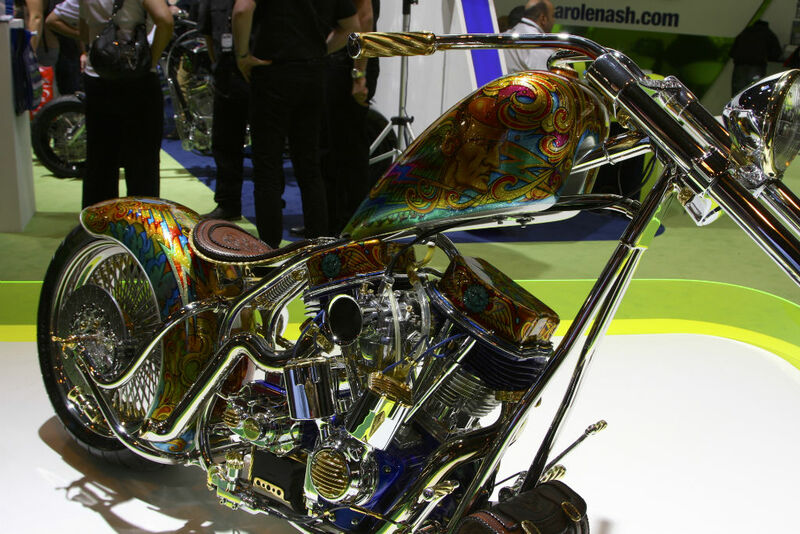 Ogle at the weird and wonderful machines in the BSH Custom Xtreme Zone, admire the stunners of the 70s in the Retro Zone sponsored by Brittany Ferries and appreciate some even older beauties in the Classic Zone sponsored by the Coventry Transport Museum. There is so much eye candy you won’t know where to begin! Advance tickets for Motorcycle Live 2013 are just £17 per adult, £11 for Seniors and £7 for children aged 6-16** (kids five and under accompanied by a paying adult go free). Bike parking is free of charge and subject to availability. Reduced car parking costs of £8 – subsidised by Motorcycle Live. 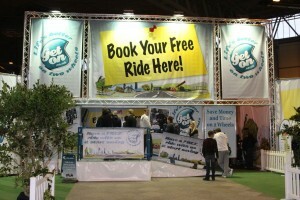 To book your tickets, call 0844 581 2345 or visit www.motorcyclelive.co.uk.